OneSearch Direct, the UK’s largest local search data company, are proud to be exhibiting at the Residential Property Law & Conveyancing Update – Leeds, hosted by Professional Conferences. Taking place tomorrow, Tuesday 9th February, at Royal Armouries, delegates are invited to come and chat to Regional Managers, Gavin Potter and Martin Askew, and enter a free prize draw to win a bottle of bubbly! “We are thrilled to be taking part in what is sure to be a highly informative day, exploring hot topics for our industry. 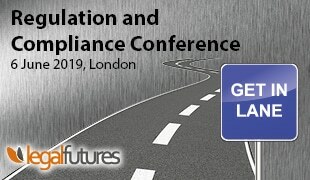 We’re most looking forward to meeting delegates who are passionate about their own professional development and, like us, are always looking to keep their finger on the pulse with issues so prevalent to risk mitigation and compliance. “Having accurate data in areas such as building regulations and planning permission is extremely important to us, so we’re especially heartened to see this crucial conveyancing matter covered.